Is your filesharing solution fully EU-GDPR compliant? 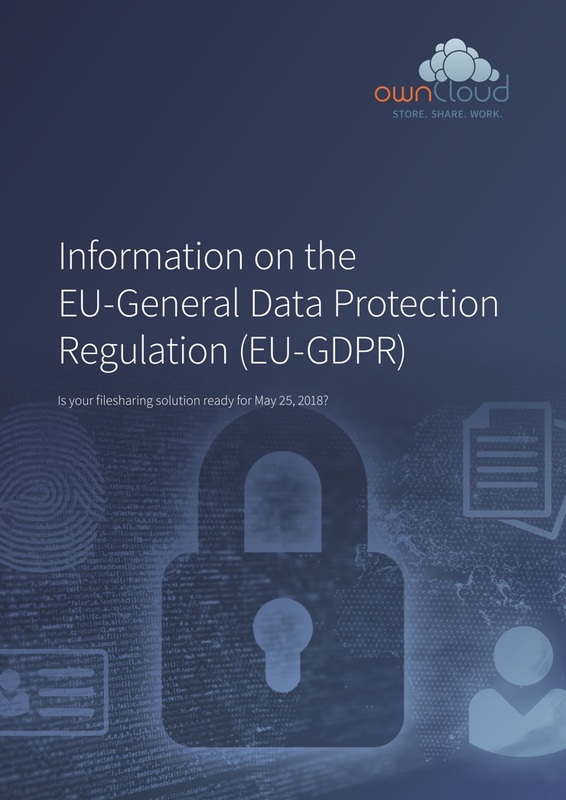 Why is the EU General Data Protection Regulation (GDPR) so important? Make your filesharing secure with ownCloud –and fully EU-GDPR compliant. ownCloud offers you a secure file-sharing alternative to conventional public cloud offerings. Through on-premises installation and a variety of administration and security features, you not only gain full control of your data, but a truly private cloud for your business that is fully compliant with the EU-General Data Protection Regulation (GDPR). product and system stability, even under high load. Other requirements of the EU GDPR that you can meet using ownCloud are described in this white paper. This recorded webinar also gives you an insight into the topic.